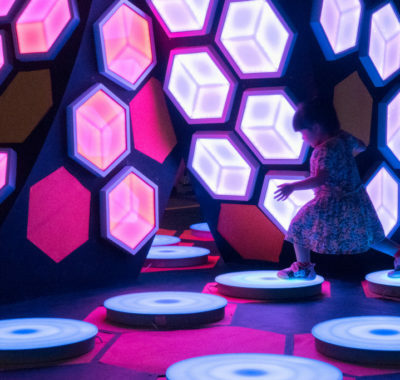 Festivals Celebrated in Multiracial Singapore: 11 Your Kids Need to Know! How Much Do Your Kids Know About These 11 Festivals Celebrated in Multiracial Singapore? 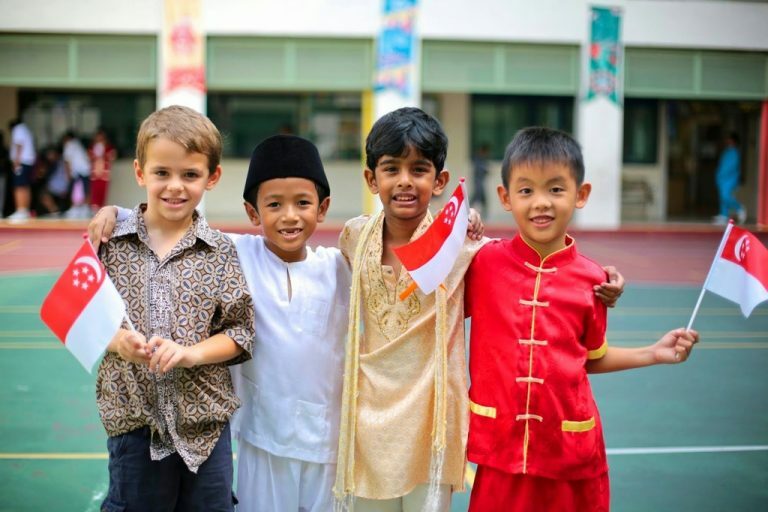 This Racial Harmony Day, we break down 11 festivals celebrated in multiracial Singapore for you so that you can educate your children to be knowledgable little citizens. Here on our little red dot, Racial Harmony Day is commemorated annually on 21 July – that’s today! Those of you who are parents of school-going children probably sent your little ones off in traditional garb this morning. We are sure they’d have made for lovely pictures to share with your friends on Facebook and Instagram. But do you know why we celebrate Racial Harmony Day on 21 July? The date is significant because the 1964 Race Riots took place on 21 July and Racial Harmony Day serves as a reminder to never take multiracial Singapore’s peace and harmony for granted. Speaking of multiracial, how much do your kids know about the festivals celebrated by the different races living in Singapore? Do they know that the Hungry Ghost Festival is observed by the Taoists? Or that Holi is an Indian festival of colours that ushers in Spring? Wait, did you even know that? If the answer’s no, it’s time to educate yourself and the kids then! Here’s a list of 11 festivals every child living in multiracial Singapore should know about. Did you know that Chinese New Year is one of the world’s most celebrated festivals with the biggest annual mass human migration? Considered as a major holiday for the Chinese, it is observed in countries with significant Chinese populations. These include China, Hong Kong, Macau, Taiwan, Indonesia, Malaysia, Thailand, Vietnam, Cambodia, Mauritius, Australia, Philippines, and of course – Singapore! The eve of Chinese New Year serves as an occasion for families to gather for their annual reunion dinner. Prior to ushering in the new year, Chinese families also thoroughly clean their homes in order to sweep away any ill fortune and make way for incoming good luck! Paper decorations in predominantly red themes adorn interiors and exteriors of homes. 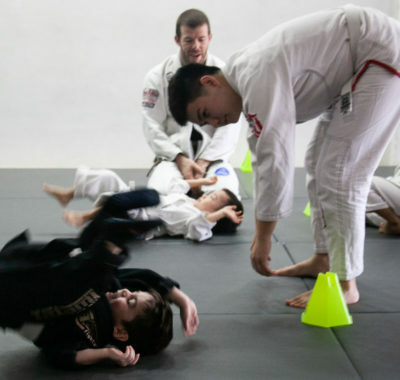 What’s in it for the kids? Red packets filled with money from grownups who are married! 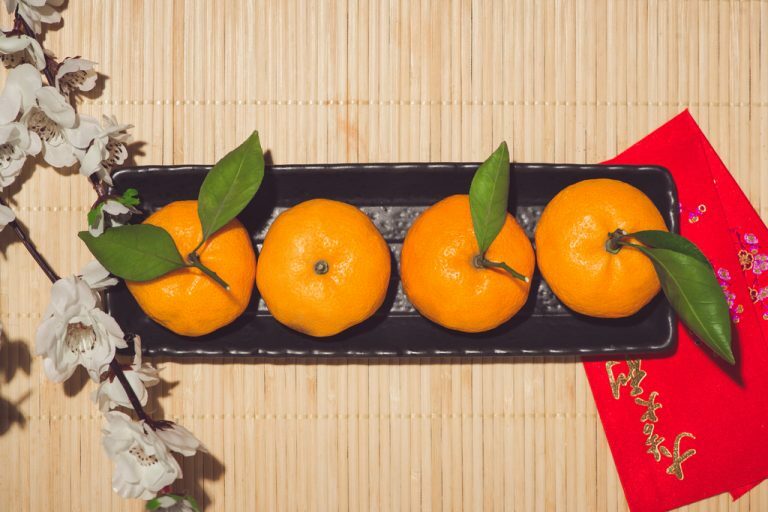 It is also customary for visitors to present their hosts with a pair of mandarin oranges which symbolise abundance and good fortune. Contrary to popular belief, Deepavali is not a new year celebration. It is actually a festival which spiritually signifies the victory of light over darkness, good over evil, knowledge over ignorance, and hope over despair. 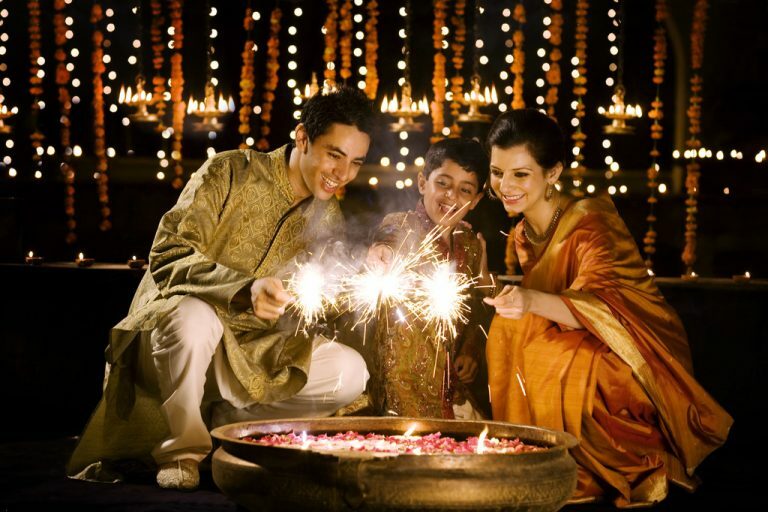 Although the mythical tales related to Deepavali vary with each region in India, they all eventually point to joy and spiritual enlightenment. This is why Hindus light up oil lamps to place outside their homes on the night of Deepavali – light symbolises the triumph of good over evil. What else do Hindu families do to usher in the festival of lights? During the days leading up to Deepavali, homes are thoroughly cleaned and decorated. On the morning of the festival, Hindus dress up in new traditional outfits and children receive blessings and money packets from their parents. Some families choose to start their day by visiting the temple while others head out to visit their relatives. Here’s one of the most enduring legends associated with the Dragon Boat Festival. Once a trusted advisor, Qu Yuan – a minister of state during the Warring States era of China – was banished by his emperor due to political intrigue. In despair, he threw himself into the river and ended his life. As he was well-loved by common folk, fishermen beat their oars against the water to stop the man-eating fish from devouring his body. Others threw cooked rice wrapped in leaves into the water, hoping the fish would eat them instead. This resulted in today’s dragon boat races and dumplings – two of the most distinctive aspects of the festival today. The glutinous rice dumplings are triangular, wrapped in pandan leaves and have a wide variety of fillings. 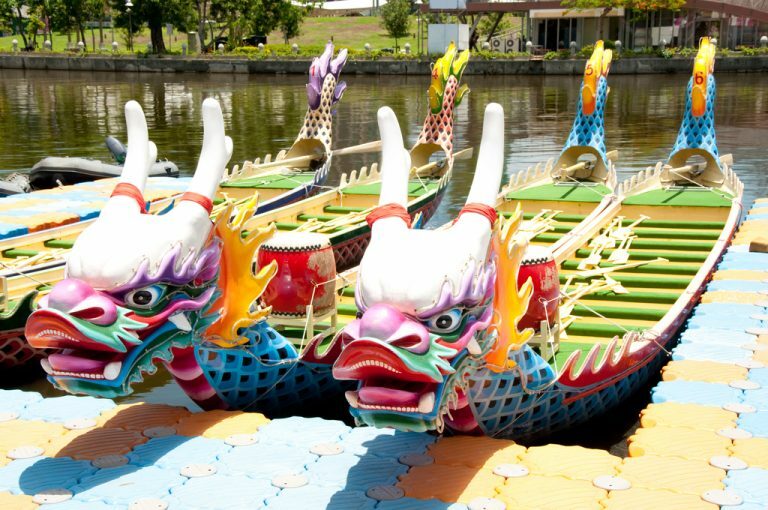 In Singapore, dragon boat races take place at the Kallang River to usher in the Dragon Boat Festival. Hari Raya Haji, which lasts four days, commemorates Prophet Ibrahim’s complete faith and trust in God. This is recounted in the story of God commanding Ibrahim to sacrifice his son Ismail, a commandment that Ibrahim responded to with obedience. God stopped him and provided him with a sheep to sacrifice in place of his son. The most important ritual observed here is that of korban (sacrifice). Worshippers contribute live sheep, lambs, goats and cows which are slaughtered by a quick slit to the jugular as prayers are recited. The act of slaughtering is meant to remind worshippers of the willingness of Prophet Ibrahim to offer his own flesh and blood to God without hesitation. The meat of the animal is then cleaned, carved up and distributed to the poor and needy. 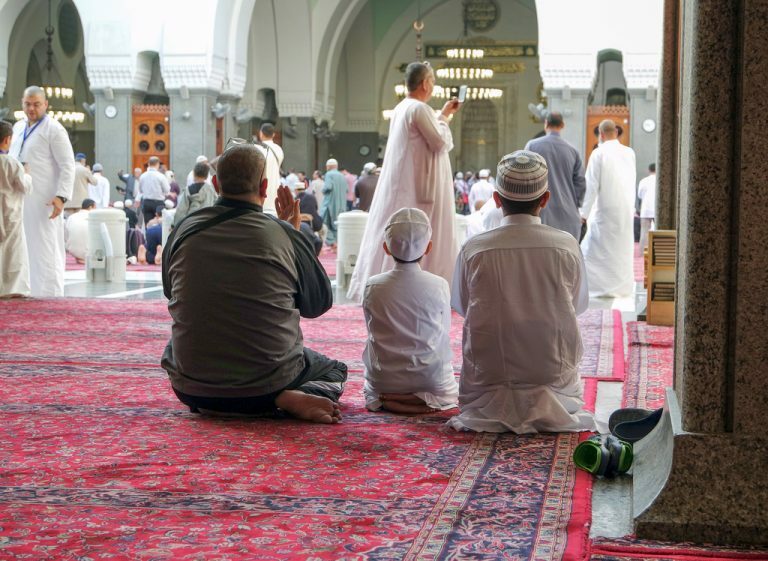 Following a visit to the mosque, Muslims pay visits to family and friends. Marking the end of the Islamic holy month of Ramadan is the festival of Eid, better known here as Hari Raya Puasa. Ramadan is a period of sober repentance for Muslims who fast from dawn to dusk for approximately thirty days. 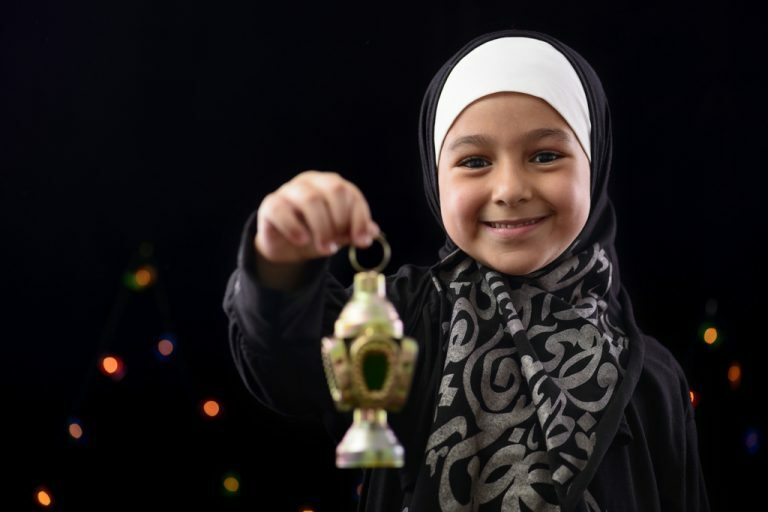 During Ramadan, Muslims also devote much of the month to worship, charitable deeds and acts of compassion. The day starts with a visit to the mosque where special prayers for the occasion are recited. Then it’s off to see the parents – Muslims traditionally ask for forgiveness from their elders for any wrongs committed during the year. 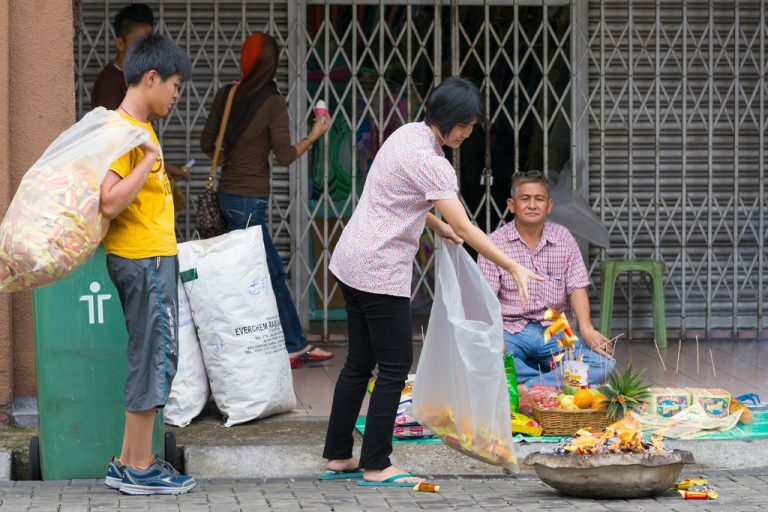 Many Malay families in Singapore don new outfits in the exact same shade – men are clad in loose shirts with trousers (baju melayu) while the ladies wear loose-fitting full length blouse and skirt combinations (baju kurung). Popular festive dishes include beef rendang (spicy beef stew), sayur lodeh (vegetables cooked in coconut milk gravy) and fluffy white rice in the form of ketupat. What about desserts, you ask? If you’ve been invited to a Muslim home for Hari Raya Puasa, treat yourself to kueh, ondeh-ondeh (chewy balls with palm sugar centres) and putu piring (steamed rice cakes with grated coconut). The traditional Hindu festival of Holi celebrates the beginning of Spring as well as the triumph of good over evil. 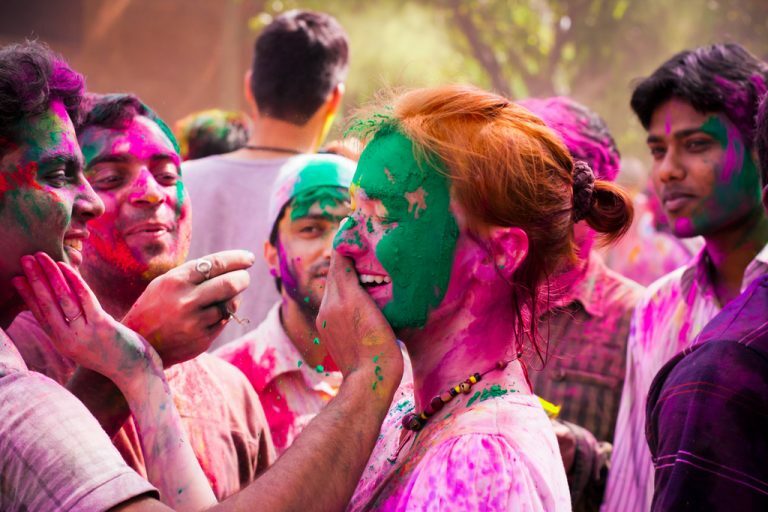 It is best known around the globe for the coloured powder that revellers throw at each other, leaving festival goers coated in colour by the end of the day. Although Holi is a religious festival that originated in India, it has been adopted in many countries around the world – Singapore included. The coloured powder symbolises the coming of Spring and all the new colours that manifest themselves in Nature. Historically, the powder was made of turmeric, paste and flower extracts, but it has since been replaced by synthetic versions. The four main colours of powder represent different aspects of the festival. Red reflects love and fertility, blue is the colour of Lord Krishna, yellow is the shade of turmeric and green symbolises new beginnings! The Westerners have Halloween and the Chinese have the Hungry Ghost Festival when the souls of the dead are believed to roam the Earth. According to custom, these ghosts can get up to no good if ignored, so all sorts of offerings are made during this period which is the seventh month of the Chinese lunar calendar. The metal bins you see scattered around residential areas are provided to hold hell money and paper offerings (cars, watches, jewelry etc.) that are burned by relatives to appease their deceased family members. During this period, do watch your step while walking around your housing estate in case you trample on food left out in the open. These offerings include oranges, rice and even suckling pig. It’s not just the ghosts’ appetite for money and food that need to be taken care of during the Hungry Ghost festival. Entertainment is also important! This is why large tents are set up in open fields in Singapore to host dinners and auctions in the heartlands. There are Chinese opera and getai performances which feature stories of gods and goddesses too. All are welcome – so sit back and enjoy the show! The mid-autumn festival marks the end of the autumn harvest and was traditionally a time to give thanks to the gods. It is also a time of the year that the moon is at its brightest – so that’s why lunar legends have always been associated with the celebration! The tale goes that Chang Er, the wife of a merciless king, took an elixir of immortality and ascended to the moon afterwards. She has been worshipped as a Moon Goddess by the Chinese ever since. 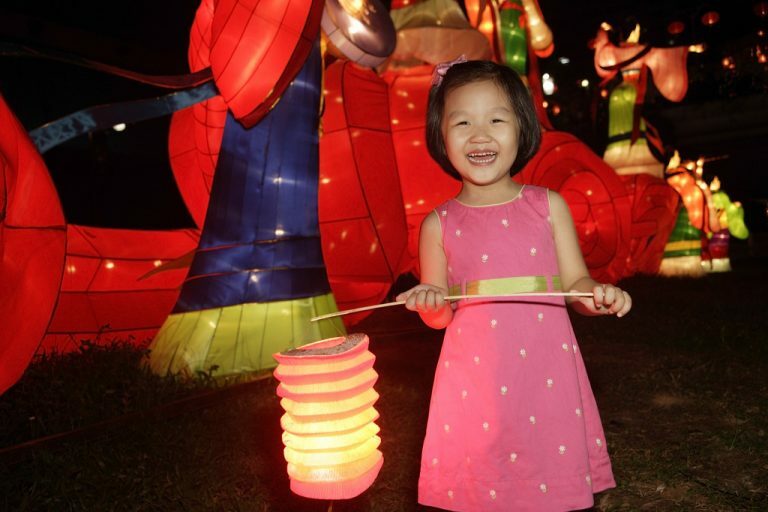 Kids love the mid-autumn festival because they get to show off their pretty lanterns! There are elegant paper lanterns as well as more elaborate multicoloured cellophane and wire structures that can be shaped into everything from animals to cartoon characters. There are also plastic battery-operated, music-playing ones for little ones with louder personalities. The festival would not be complete without – you guessed it – mooncakes! Legend has it that mooncakes helped to free Yuan China from the rule of the Mongolians – rebels organised an upheaval by passing messages hidden in them. Today, you can find them in countless varieties, from the traditional lotus seed paste ones to snowskin versions packed with exotic fillings. Pongal is a harvest festival celebrated mostly in South India over a span of four days. Here in Singapore, Hindu families observe Pongal by visiting the temple, offering prayers and whipping up scrumptious vegetarian fare served on a banana leaf. Pongal falls on the first day of the auspicious month of Thai. The eve of Pongal is known as bhogi and is marked by the discarding of old, unwanted belongings – this is meant to signify a fresh start. 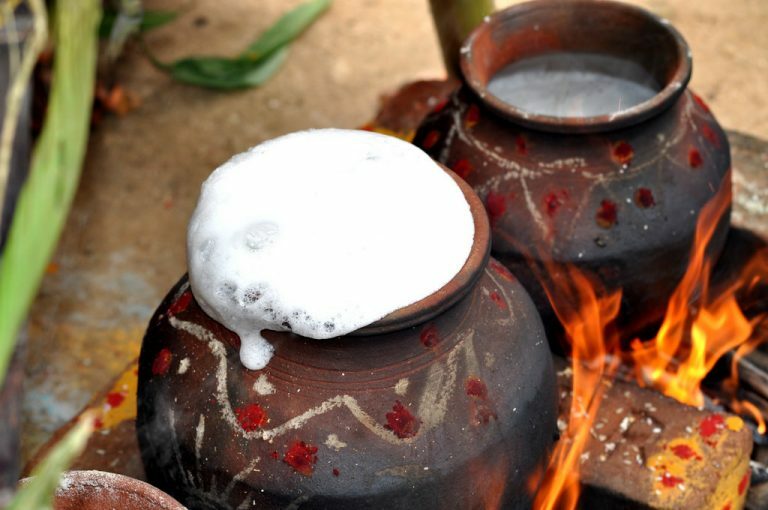 On Pongal day, the Sun God is honoured by cooking a pot of rice with milk to offer at dawn. The word pongal means to overflow. So this pot of rice with milk has to be boiled till it bubbles over to symbolise prosperity and abundance. The cooked rice is later served to everyone in the family as well as any visitors to the home. The second day of Pongal is set aside to honour cattle – cows are considered to be sacred to Hindus. In order to appreciate the work cattle do, such as ploughing the fields and providing milk, cows are scrubbed clean and have their horns beautifully painted. Beads, bells and flower garlands are also placed around their necks and they are even fed special snacks as a treat! Thaipusam is a Hindu festival celebrated in honour of Lord Murugan who represents virtue, youth and power, and is the destroyer of evil. The Thaipusam ceremony starts in the wee hours of the morning. The first batch of devotees carry milk pots and wooden kavadis. Some pierce their tongues with skewers and carry a wooden kavadi decorated with flowers and peacock feathers balanced on their shoulders. Some others carry spiked kavadis that require a lot of preparation. For devotees, Thaipusam signals the end of a month spent in spiritual preparation with a strict vegetarian diet. It is believed that the sacred task can only be fulfilled without pain when the mind is free of material wants and the body is free from physical pleasures. Devotees will walk a distance of 4.5 kilometres from Sri Thendayuthapani Temple at Tank Road to Sri Srinivasa Perumal Temple at Serangoon Road, accompanied by relatives and friends who chant hymns and prayers to encourage them. You can watch the colourful procession anywhere between these roads! Vesak Day festivities start at the crack of dawn in Singapore as Buddhists flock to temples for a special prayer ceremony. The Buddhist flag is hoisted and hymns are chanted in praise of Buddha, the Dharma (his teachings) and the Sangha (his disciples). Offerings of candles, joss sticks and flowers are brought to the temples. The candles and joss sticks burn down while the flowers eventually wither. This is meant to remind Buddhists that life is fleeting and that all things will come to an end. 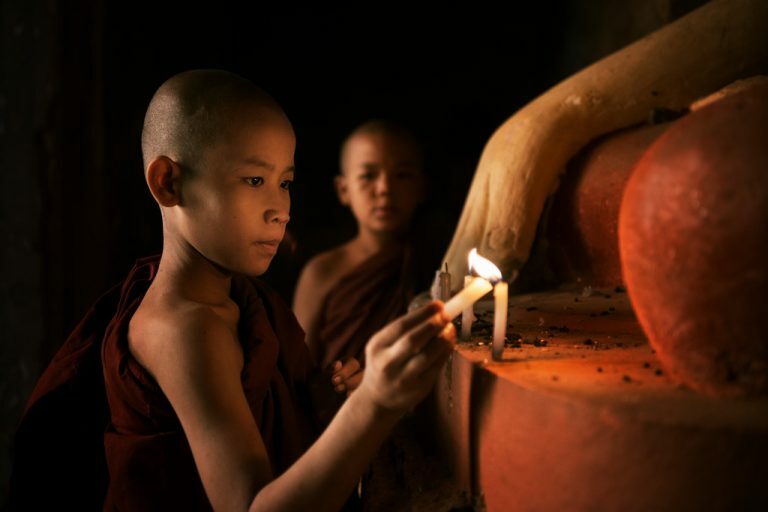 The rest of Vesak Day is usually spent on worthy deeds as devotees believe that performing good deeds on Vesak Day will multiply merit many times over. Only vegetarian meals are eaten by Buddhists on this occasion. New Star Tonic – Tian Yuan Xiang Chicken Essence (田原香滴鸡精) from Taiwan is finally here in Singapore! 4 Valuable Tips For Your Child to Ace His PSLE English Oral!